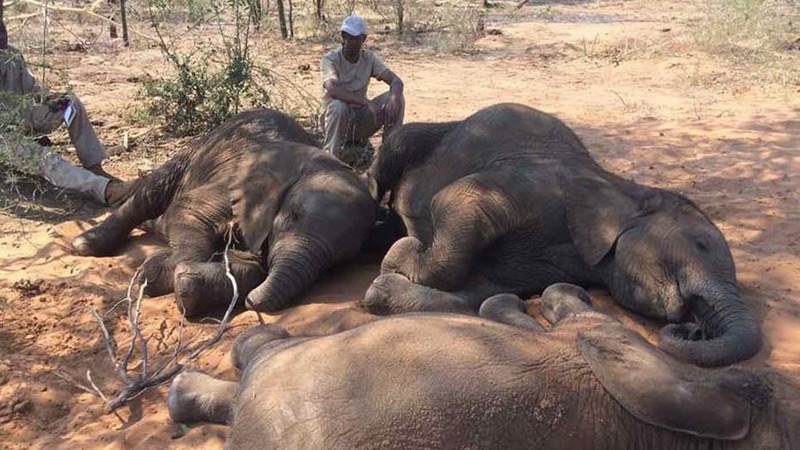 Nearly 90 Elephants Found Dead Near Botswana Sanctuary, Killed By Poachers. “The varying classification and age of carcasses is indicative of a poaching frenzy which has been ongoing in the same area for a long time,” the report says. Botswana is home to the largest elephant population in the world, according to the Great Elephant Census, a report conducted by Elephants Without Borders and the Paul G. Allen Family Foundation. The country holds 37 percent of its continent’s endangered elephant population. Elephant populations in Africa declined by 30 percent — around 144,000 elephants — from 2007 to 2014. “The poachers are now turning their guns to Botswana. We have the world’s largest elephant population, and it’s open season for poachers,” Chase told the BBC.